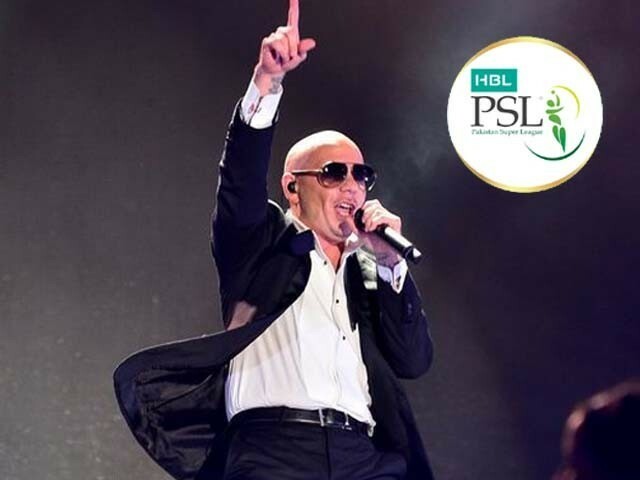 The PCB plans on inviting popular American artist Pitbull to perform at the opening ceremony of the PSL. As a nation, it is unfortunate how easily we tend to get swayed by anything foreign or international. From music to movies, from sports to popular culture, a white person or foreigner is all it takes for us to get excited and worked up to buy whatever product or message is being sold. Perhaps this is a manifestation of our colonial hangover that just doesn’t seem to end, or perhaps this represents a deep-rooted inferiority complex within us. Regardless, this sort of a mindset has become deeply ingrained into our nation’s psychology, and is now reflecting in our preferences as well. Lately, the Pakistan Super League’s (PSL) upcoming season has been the talk of the town. The Pakistan Cricket Board (PCB) has announced ambitious plans for this season, which, though not impossible, do come off as too grand for an event such as the PSL. However, what caught everyone’s attention is that the PCB plans on inviting popular American artist Pitbull to perform at the opening ceremony of the PSL. For this 10-minute performance, the board has reportedly agreed to pay him Rs100 million, which is almost a million dollars. The obvious question that emerges is: how exactly will the cash-strapped PCB afford this extravagance? However, when one assesses this decision in detail, it becomes problematic for two reasons. Firstly, this exorbitant display doesn’t make much logical sense. The PCB certainly cannot afford to throw money away, and should not be doing so to cater to our inferiority complex, especially when this money could have been used elsewhere within the production of the PSL itself. Secondly, this decision is entirely unfair to our local artists, for just as PSL provides a platform to local talent to shine on a bigger stage, local musicians should also be provided a similar opportunity to shine, and should be our first priority. The reason why this news is aggravating is because this is not an isolated incident. Earlier this month, it was revealed that Akon, another prominent American musician, has been hired to perform at an upcoming football event, and will be having concerts in Karachi and Lahore. Why are local organisers so adamant to opt for foreign artists over local ones? This question is especially relevant given our current national rhetoric of saving money and cutting down expenditures on “imports” and external sources to save our debt-ridden economy. If the concerts conducted by these artists could generate enough revenue to turn this investment into a profit, then perhaps this wouldn’t be such a horrible idea. However, not only do these celebrities cost us a lot of money for the performance alone, this is coupled with the cost of their protocol, security and their accommodation, which makes the entire venture seem less profitable and not really worth the hype. Meanwhile, the Pakistani entertainment industry is slowly flourishing, and there remain so many Pakistani artists who could have done an equally great (if not better) job at headlining this ceremony. For instance, I am pretty sure that Atif Aslam, beloved by Pakistani fans worldwide, would have made a great choice. He is already so popular in Pakistan and even internationally that the PCB would not have regretted selecting him. Or rather, since Junoon is already performing at the event, why not give them the main opening slot as well? Alternatively, many new, energetic artists such as Asim Azhar, Lyari Underground, Sahir Bagga amongst others have been making waves lately. There is a huge demand for these artists and they’ve become quite famous after just a few hit songs. Then why have they been set aside completely? If we won’t give the platform to our homegrown talent and actively promote them, then who will? This definitely puts a question mark on our priorities as a nation, and makes one question whether we truly intend on walking the walk when it comes to actually bringing “made in Pakistan” to the international arena. In lieu of this decision by the PCB, our local artists are quite likely to feel neglected. After all, events such as the PSL are a rarity in Pakistan, which is why when they do take place we should make the best of it for domestic promotion and let both, our cricketers and our artists, shine. For now, we get to have artists like Pitbull and Akon perform locally. But for the future, it is imperative that these concerns are addressed and the organisers review their policy of giving undue preference to international artists over Pakistani ones. It is not good to criticize every decision. PSL is one of the flagship sports event of our homeland. Inviting International Artists strengthen the soft image of Pakistan which was deliberately destroyed by vested interests of some individuals. The reason for which PCB is inviting International cricketers for this tournament is also the driving reason for inviting International Artists. BTW, merely sharing the cost of Artist indicates the biassedness and limited approach of the writer. He should have also calculated and shared the value addition, the artist is bringing along.